Results from the Minnesota Department of Natural Resources’ 2016-1017 wolf population survey suggest Minnesota’s wolf population has increased 25 percent since the 2015-2016 survey. After remaining stable during the past four years, the survey estimates that within Minnesota’s wolf range there were approximately 500 wolf packs and 2,856 wolves. The survey’s margin of error is about plus or minus 500 wolves. The 2015-2016 survey estimated the number of packs at 439 and the wolf population at 2,278. Minnesota’s wolf population remains well above the state’s minimum goal of at least 1,600 wolves and also above the federal recovery goal of 1,251 to 1,400. Survey results suggest packs were slightly larger (4.8 vs. 4.4) and used smaller territories (54 square miles vs. 62 square miles) than the previous winter. Although neither individually represented a significant change from recent years, collectively they explain the increase in the population estimate and are consistent with a continuing increase in deer numbers observed in many parts of wolf range. From spring 2015 to spring 2016, deer density within the wolf range is estimated to have increased 22 percent. 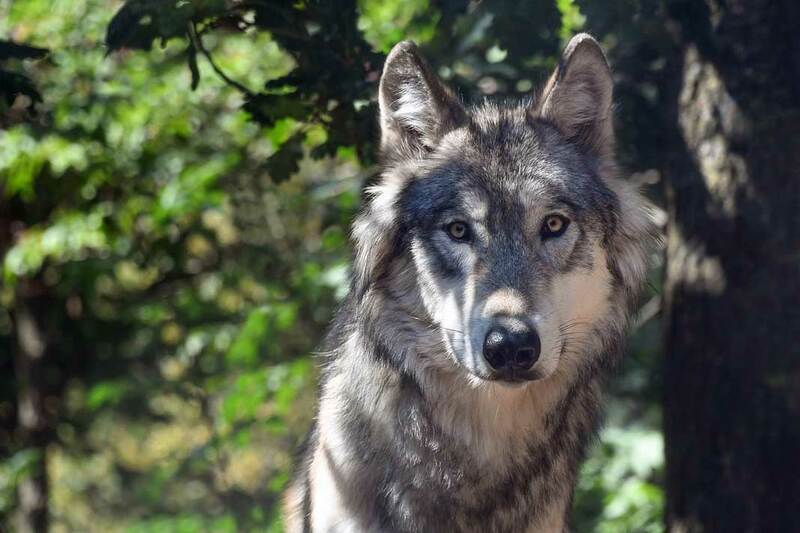 “From approximately 2005 to 2014, a decline in prey appears to have translated into larger wolf pack territories, fewer or smaller packs and a reduced wolf population, said John Erb, the DNR’s wolf research scientist. “Changes in estimated wolf abundance generally have tracked those of deer over the past 5 years,” Erb said. The wolf population survey is conducted in mid-winter near the low point of the annual population cycle. A winter survey makes counting pack size from a plane more accurate because the forest canopy is reduced and snow makes it easier to spot darker shapes on the ground. Pack counts during winter are assumed to represent minimum estimates given the challenges with detecting all members of a pack together at the same time. A winter count also excludes the population spike that occurs each spring when the number of wolves typically doubles immediately following the birth of pups, many of which do not survive to the following winter. The DNR’s goal for wolf management, as outlined in the state’s wolf management plan, is to ensure the long-term survival of wolves in Minnesota while addressing wolf-human conflicts. Minnesota currently has no direct management responsibility for wolves now because a federal district court ruling in December 2014 returned Minnesota’s wolves to the federal list of threatened species. The U.S. Fish & Wildlife Service manages all animals on that list.